As another year is coming to a close, it is time to look back at 2008 and to look forward to 2009. With regards to the Wii and its competitors, what developments have there been over the past year? And what are we likely to witness over the next twelve months? I will explore this topic in a two part post. Let us start with the question whether 2008 was a good year for Wii owners. When looking back at 2008 and comparing Metacritic scores, the Wii is clearly lagging behind the competition. 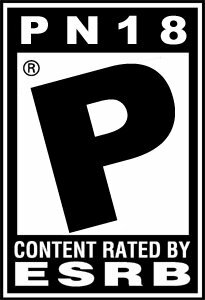 In case you are unfamiliar with the site, Metacritic accumulates review scores from mostly North American and some European media outlets and calculates an average score out of 100. Looking at all current-gen titles released this year which scored above 85 percent, Xbox360 and PlayStation3 boast 17 each, while Wii has a mere 8 to show for itself. And this is no statistical flaw. Even counting games ranked above 80 percent, the Sony and Microsoft consoles have 43 titles each, while Nintendo's little box has only 22. When considering the year's top ten games, Wii titles only made it to the number seven and eight spots (´Super Smash Bros. Brawl´ and ´World of Goo´, respectively). Is this perhaps simply indicative of the shovelware the market leader gets, I asked myself? Unfortunately, no. In 2002, the PlayStation2 had 21 titles above 85 percent, the Xbox had 19 and the GameCube 17. In 2003, PS2 had 26, Xbox 24 and GameCube, again, 17. Looking at 2007, though, the field is more stretched out. Xbox 360 leads that year with 14 titles above 85 percent. PS3 has 10 and the Wii 6. Nintendo also has the year's highest rated title, ´Super Mario Galaxy´, albeit it being the only top ten entry for the console. But there are other statistics to consider, other measures of quality titles. In 2008, Japan's reputable weekly gaming magazine Famitsu awarded only three perfect scores, two of which to Wii exclusives. The magazine is published by Enterbrain who also track and publish sales figures. The first perfect Wii game of 2008 was, quite obviously, ´Super Smash Bros. Brawl´. Unexpectedly, the second was a graphic novel called ´428: Fuusa Sareta Shibuya de´ developed by SEGA. Here is a trailer. Let us have a look at all the perfect scores awarded by Famitsu over the last ten years. Out of the nine games who received the top rating, five were exclusive to Nintendo consoles and only one of those was a portable game. With the exception of SEGA's graphic novel, though, all were first party titles. Looking at Famitsu's highest ranked games of 2008, each current-gen console has three entries with Wii leading the pack. So, North American and European review scores betray a distinct lack of quality Wii titles compared to the competition, while Japan's most reputable reviewers see no such gap at all. Why do these indicators differ so greatly? I assume that Famitsu is more ready to accept Wii as a platform for new kinds of gaming. Just consider a more unusual DS game like ´Another Code´ aka ´Trace Memory´. Its Metacritic score is a measly 70 percent while Famitsu scored it a 35 out of 40, translating to a percentage of 88. I believe that Japanese gamers are simply more open to new ideas. The Wii's tremendous and overwhelming success is often misinterpreted by traditional gamers in Europe and North America. Often you hear them talk about how Wii has found its niche, not realising that they themselves are the niche now. 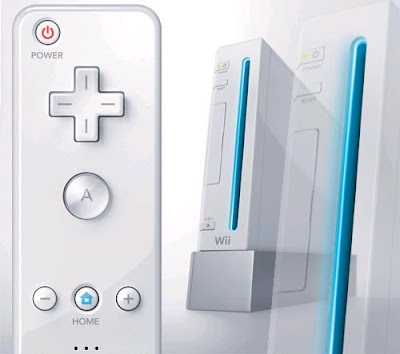 Wii has redefined what must be considered mainstream gaming. Christening something as mainstream is not a question of content or interpretation, it is all about numbers. And they are as clear as anything. So, all in all, it would be wrong to say that games for Nintendo's newest console lack in quality. After all, ´Wii Sports´ is one of the most immersive and addictive videogames in decades. It was TIME Magazine's game of the year 2006 whose editor noted that "it might be the greatest videogame ever made" for precisely those reasons. It is true, however, that the Wii lacks high quality traditional games. There are solid titles to be found in every genre, but far less than on the other two consoles. Why is that? Mainly, Nintendo has the weakest third party relations of the big three. This, in turn, is owed to the fact that no other hardware manufacturer is as successful a publisher as Nintendo. But will this remain the status quo in 2009? No, I believe. The sheer numbers of Wii consoles sold will convince third parties to both increase their Wii budgets and widen their portfolio to include more than the ´Touch Generations´ type games. This will be the topic of the second part of the post. The 2009 3rd party line up is the best line up in ages imo. Lots of promising stuff on the horizon - Wii is a massive success despite two somewhat lackluster years for traditional gamers! Also, as I have previously mentioned, Okami is really massive. It took me 60 hours to complete(with side quests )!Highly recommended! It's my favourite game so far on Wii alongside Galaxy and Dewy! Oh and btw I'm starting to become suspicious that major german mall chains are boycotting mature content for Wii in order to market the system as a kids toy! I also recall confronting a Saturn employee(another major german chain)a year or so ago concerning the sheer absence of any notable mature Wii titles except for Red Steel(I think I was looking for the newly released Scarface game for Wii back then) which instantly left me perplexed and somewhat disgruntled. 95% of the Wii games on shelve at Saturn were kids games and minigame collections I weren't interested in at all. Nothing else really other than the usual suspects like Zelda and Exite Truck. So I asked this guy why there weren't any mature games on the shelves for Wii and listed some games like Scarface, Driver 3, Godfather, Resident Evil etc.,... and his awnser was basically that Wii is targeted at families and kids mainly whereas PS3 /360 is marketed at different audiences like teens and young adults. And that would be the reason why they don't offer these titles for Wii eventhough they do exist. He then went on and advised me to get a 360 or a PS3 to play those games. I don't know whether this is a world wide phenomenon but if all chains handle their Wii business like these two major german ones seem to do, it sure is pretty telling and might explain why mature games don't sell well. Andreas, bitte schreib' mich mal an. Meine Adresse dürftest du ja haben. Speaking of Metacrtic, they have been criticized for the way they allocate their scores. For example, if a game got an A, the relative score would be a 100, but if a game got an F, it would be 0. One game got a B, but it got a 67, which is an equivalent of a D.
Not to mention, if you take a look closer, there are alot of XBL Arcade and PSN games that are included in along with full games, inflating the amount of titles above the 87 average. I don't think alot of gamers can even put downloadable gmaes in the same light as full tangbile ones at the moment. I'm sorry for double posting, but the URL I provided didn't come out right. Here's the best I can do. I don't know how to link in this comment section. Nintendo's relationship with third-parties isn't going to grow overnight, that's why the flow of good games have been slow as of late. But then again, as I explained, the XBL Arcade and PSN games have been taking up the library, which is why the 360 and PS3 seem to be getting titles faster. Most of them are good and easy to make. The Wii is a testament that Nintendo is really making strides to repair that because I see alot of games that I normally don't see on the N64 and the GameCube. Oakley frogskins within the opgfdjk type phenomenon could be grouped directly into many oakley frogskins when judged coming from different standards. Several inside many substantially utilized specifications are usually shade, substance, condition, prescribed, and so forth.Distinctive from common perspective spectacles, oakley jawbone have become typically regarded since parts simply by a lot of people, which typically satisfy natural light wear together with some other redecorating posts. Just before acquiring pink natural light wear coming from on-line distributors, an individual will be suggested to master added information regarding them- it isn't merely restricted on the features and also features of the oakley flak jacket , and also the modern type phenomenon plus the desired vendors. plus the desired approach should be to search on-line and acquire several beneficial information.Needless to say, problem will be the most basic and also most typical a single, because oakley radar generally in most scenarios are usually called relative to just what their particular styles are usually just like. Oakley sunglasses are really common illustrations. It is usually effectively recognized men and women commonly use a couple Cheap Oakley Sunglasses to guard our eyes balls by ultra violet radiation. Accordingly, the a pair of sunglasses designers include intended absolute flavor Oakley Jawbone for consumers to settle on. folks commonly would prefer to review the selling prices on Oakley Jawbones at a single to an additional and make a haggle when using the trhyg7y sunglasses outlets when they're advancing towards obtain just one. So this discounted Oakley Frogskins are essentially the most preferred Oakley Frogskin amongst all on the Oakley sunglasses. Theoretically, those Cheap Oakley Sunglasses can hfkjtylt give wearers much nicer and natural vision, for no vision line can be found on them. Still, wearers will always think no Oakley sunglasses on their face with those special oakley frogskins .Therefore, it is necessary to have a good idea in the related topics. First of all, wearing Oakley sunglasses indoors anywhere is almost always not appropriate, unless you have some sort of extra sensitivity to light. But people are still going to think you're a little odd and look at you funny. Besides, when someone is trying to carry on a conversation with you and they're not sure if you're paying attention to them. oakley radar is well known the reason that people invented the Oakley sunglasses.Another reason why many children refuse to wear oakley jawbones is the styles of those Oakley sunglasses are similar with others', such their parents, siblings, friends, etc. Or some Oakley sunglasses are symbols of nerd, geek, and pedant. Therefore, children can also have Oakley sunglasses with the latest fashion. Sometimes, children may demand to wear some very stylish oakley jawbone , for those Oakley sunglasses are the same as their idols'. Maybe there are no obvious difference between their Oakley sunglasses and other ordinary Oakley sunglasses. However, suitableness is good.In general, bifocal safety Oakley sunglasses refer to a special type of spectacles that can offer the functionalities both of ordinary Oakley sunglasses and protective safety Oakley sunglasses. There are obviously two major elements of this type of eyewear. While using Cheap Diablo 3 Itemsvarious other SK announcement how long from some sort of leg shall we be speaking here? Work articles, budgeting figures, evident apps, relieve scheduals, middleware getting purchased, Nintendo wii console Guild wars 2 CD KEYdev systems at their particular companies? Analyst calls PS3 a "sinking ship"
Project cancelled at Wii developer Factor 5?